Welcome to the all-new TalkErie.com! We are Erie, Pennsylvania’s brand-new twin FM talker at 103.3 and 105.9. 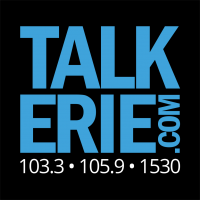 Erie News Talk Radio at it’s finest, with national news twice an hour 24/7 and local news daytime weekdays, you’ll be informed and challenged every minute you spend with TalkErie.com.